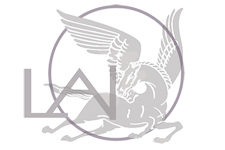 LAI's 2019 2-year program is now enrolling! Our program usually fills quickly (we had a 40 person waiting list for our last round). Please reach out with any questions so that we can help you decide if this is the right fit for you! Already done the 2-year program? Check out our Advanced options! Pay your deposit to hold your spot and start the enrollment process. Please fill out your application within 2 weeks of paying your deposit. Get a taste of what Luminous is about with a three-hour experiential introduction to LAI’s energetic and personal transformation practices and upcoming programs. Together we accelerate our collective and individual awakening. Become a part of the next activated evolutionary cohort. You have had a taste of something extraordinary and you are yearning for more. You've had moments of deep peace, profound aliveness, and unparalleled intimacy that touches into your deepest experience of life. When you get a glimpse beyond your ordinary awareness, beyond the flattened and muted reality of your limited consciousness, you realize that there is a more vibrant, joyful and fullfilling life possible. You have had a taste of something extraordinary and now yearn to reopen that awareness and live from it in your everyday life. You have had tastes of something extraordinary and are yearning for more. You want a path of personal transformation with awakening as the destination. Luminous Awareness Institute is a training ground, the awareness dojo, that many of you have been searching for, integrating profound teachings from ancient wisdom traditions, modern day science, and transformative technologies. It’s like when Orpheus offers you the red pill...finally in your hand is the choice to wake up from the dull delusion you have been living and see clearly for the first time. You want to know what your energetic “superpowers” are. At LAI we help you discover and cultivate the energetic gifts that are unique to you. You want to change people's lives for the better. You are dedicated to the healing, awakening and evolution of consciousness. Become certified as a Luminous practitioner or coach and gain a system of techniques to take your work in the world to a new level as well as set you apart from others in your field. You want to be part of a community of change makers that are dedicated to a collective and personal awakening and committed to deep relating. Luminous is a place to find a community of like-minded peers perched at their next level of spiritual and personal development, dedicated to creating a better life and a better world. It's a place where your greatest gifts will be reflected and cultivated and you'll experience some of your deepest healings. Get invited to free events and find out more about our program! How do we uniquely light the path? Awakening in relationship and in life. Not just on the pillow, but practices that are also deeply engaged with each other and in the world. Through working in group fields with relational practices we accelerate our collective awakening. Address not only one aspect of development but experience an integrated path of waking-up and growing-up. Gain a comprehensive tool kit from multiple disciplines that span spiritual traditions, energetic practices, neuroscience, and psychological systems. Not only personal transformation, but training the capacity to work with others. Become a certified Luminous practitioner or coach while you heal yourself and cultivate your gifts. Transform your ordinary consciousness, emotions, behaviors and beliefs, cultivate your Subtle energy IQ, and practice a meditative path for awakening. Luminous provides training and facilitates integration of all 3 levels of being. Beyond a single perspective or teacher, we have a team of 6 teachers who each share from their unique perspectives and mastery. With a two year transformative container, a deeply supportive community, and 3 to 1 student-facilitator ratio, Luminous has a depth and breadth like no other. Unlike retreats that give you a temporary state change and then you are back in your “real life," LAI trains your awareness and energy system so you don't just shift states but change the baseline from which you experience reality. Over the course of 2 years together, we’re going to teach you a path and give you tools for true liberation. We will guide you to shift your awareness beyond an everyday ordinary awareness to subtle energy levels and the extraordinary awareness levels of the sages. You will learn to master the invisible forces that shape your consciousness and experience of life. Through expanded awareness you will gain the ability to to connect to other people on a whole other level, see people and situations in a new light, develop new resources, and be liberated from contracted limited ways of being. You will discover the roots of and heal deeply anchored unconscious patterns and connect more clearly to who you really are, beyond your stories, beliefs and conditioning. You will play in the magical and the sacred, find true clarity and purpose, and experience a new level of freedom. You can become a certified Luminous Practitioner or Coach and be proficient at healing and coaching others. Using expanded awareness,with deep emotional presence and a unique form of energy counseling, you will become proficient at helping others to heal. Add this to an existing career or become a practitioner or coach. Reach beyond the ordinary. Live the extraordinary. You will be given guidance to develop your own energtic gifts and learn to optimize your way of being according to your unique energetic nature. We are also going to teach you to live in alignment so that you can be capable, powerful and free. You wil learn to be centered in your purpose and rest in a spacious stability that will enable you to be non-reactive to the drama and emotional intensity of others and life. We will teach you to access a profound inner resource that enables you to navigate your life with power and grace. As you learn to shift your identity and awareness to subtle and unity levels your personal compass will be magnetized by what serves the greatest good. You will feel lighter and appear brighter and have the ability to magnetize good things. People will feel more open with you and be compelled by your presence. You will begin to access extraordinary awareness-energy and experience, seamlessness, joy, synchronous flow, and fullness. As you learn to rest effortlessly in this extraordinary self you will feel a profound aliveness, connectedness, love, clarity, and knowing confidence. Details for the 2019-2021 program. Taught by the founders of the Luminous technique and supported by adjunct faculty, interns, assistants, and guest teachers, the Luminous Awareness Institute's 2-Year program occurs over approximately 18 months, with eight immersive 4-day modules (Thursday - Sunday) every 9-11 weeks and two 2-day meditation weekends in 2020 and 2021 (dates to be determined). Our modules are hosted in retreat centers in Northern California. Our time together usually begins around noon on Thursday and concludes about 6:30pm on Sunday evening. 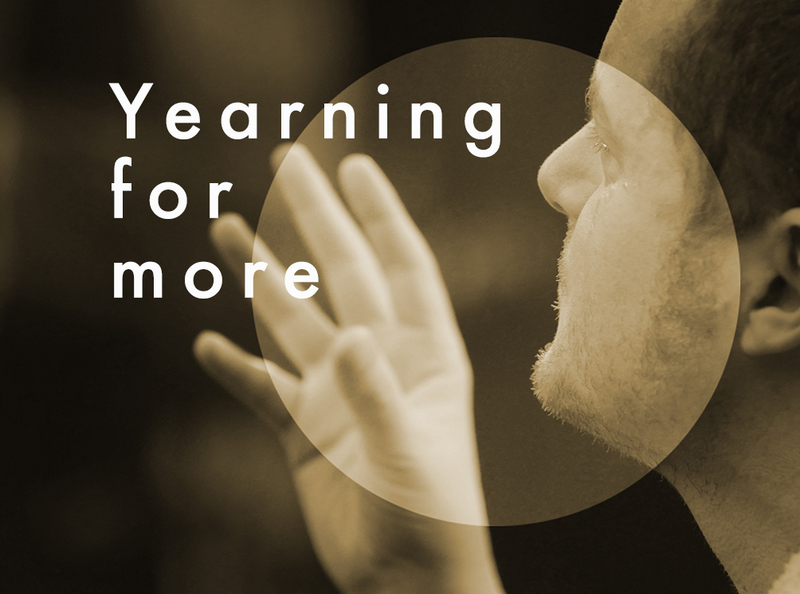 Modules are a mix of teaching lectures, experiential practice, group and individual opportunities to deepen into the material, and rich community connection with others of like mind. Meditation weekends are held in the Bay Area. Lodging is not provided. Optional practice labs (some with advanced students or teaching assistants facilitating), pods (small group session experiences), exercises and homework to practice and refine the skills and growth being taught, and a private Facebook community for connection with other students, are available to enhance our time between modules and help integrate the work into our personal and professional lives. You've been through the 2-year program and you want more? Everything you got a taste of is a tiny sip of a huge well. Come back to drink from the well. Check out our Advanced programs! Payment of the $850 deposit to hold your spot. Completion and submission of an in-depth application. Access to the application submission form will be provided after receipt of your deposit. You can also download an editable document of the application to explore at your leisure (Google Document - you must download or save to your own Google Drive to edit). Please complete your application within 2 weeks of paying your deposit. 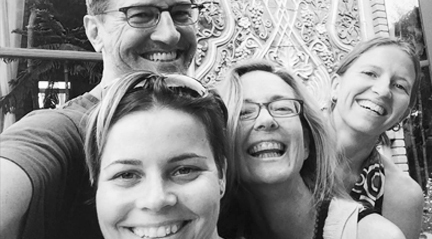 Scheduling of an interview with the LAI Master Teachers, if you have not already met them. Will be scheduled after review of your application. The first module will provide an overview of and introduction to the principles of awakening and healing as taught through Luminous maps and models. You will also meet your community and begin to establish the connections with fellow students and Luminous staff that will support you through this journey. This foundation will prepare you for the deep healing, learning, and awakening that will follow! You may identify with the quality of Air if you notice that you are highly attuned and you pick up on subtle cues that others seem to have missed. You might also have the distortion of air, if you feel “too sensitive” and as a result feel like running away or hiding from everything that feels overwhelming. In those moments you might become spacey, dissociated, or otherwise ungrounded. For example, people with this distortion often hang out at the periphery of groups or avoid them altogether and instead disappear into computers, books, or other isolated activities. In Module 2 you will understand and access deep healing at the root of what causes this fear, disconnection, and isolation. Healing at this level brings an ability to ground, and a deep sense of security, stability, and belonging. In Module 2 you will experience resting in Spacious Awareness, where you access the ground of being: vast, bright, transparent, and still. In this state there is an immense sense of freedom from constraint. Unbounded by conditioning, you become the ever present witness - noticing experiences as they arise, without identifying with them or having any reactivity. Instead, you are the limitless container for everything that is flowing through the space of you. As you cultivate spacious awareness you will gain a sense of inner stability and feel much less reactive to your environment, other people, and the ups and downs of life. 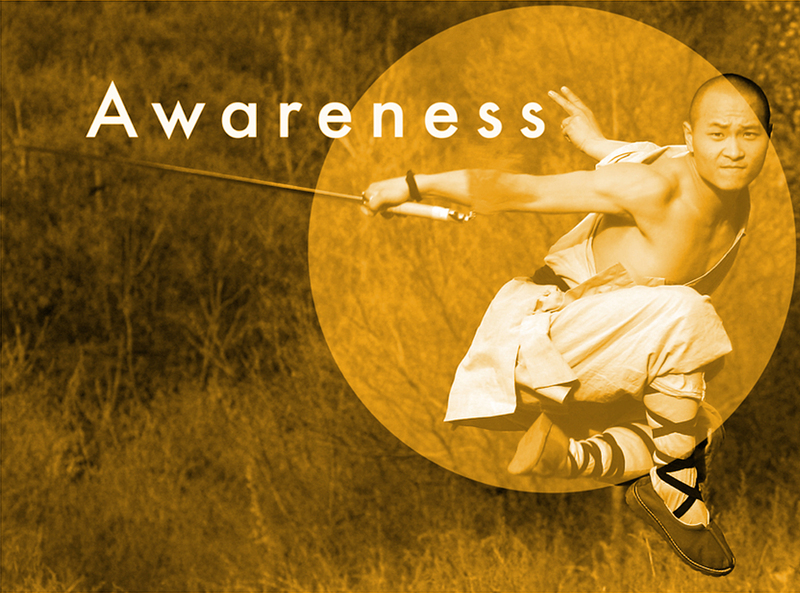 In Module 2 you develop Air Bending skills: the superpower to move awareness anywhere in the boundless field. You will learn to rest in one vast, interconnected field and span your attention non-locally to perceive information beyond the reaches of your body or five senses. For example, you can learn to put attention on someone else for the sake of healing and help locate the energetic blockages in their system. If you identify with Water, you’ll know yourself to be someone very empathetic and feelings oriented. If you have the distortion of water, you might also hold a belief or a fear of “not enough” - either that you’re not receiving enough from the world around you, or that YOU are fundamentally “not enough”. As a result you may find yourself feeling overly emotional, or needy and clingy with people, or have lots of cravings and be desirous of anything that might quench your endless thirst. In this module you will learn to release that which blocks you from receiving what you need and get to experience the true fullness of life. You will find ways to heal that enable you to develop a deep sense of inner fulfillment and be able to access what you need from others in healthy ways. You will shift from an experience of “not enough” to the ability to access overflowing inner abundance and a fulfilling sense of connection with others. In Module 3 you’ll learn to embody Embracing Awareness, the state of lovingly saying “YES” to all experiences. You embody unconditional acceptance, holding everything that arises with tenderness and warmth. Embodying this state is like being a loving mother. You simply allow the energy of life to move through you without resistance, opening to the flowing blissfulness of our fundamental nature. As your capacity for embracing awareness grows, you will begin to free yourself from things you previously resisted experiencing. The more things you are not in resistance to the more you will unbind energy. Once you have unbounded a large amount of energy, you will be flooded with the life force that is the source of joy and bliss. In Module 3 you develop Water Bending skills: the superpower to empathically perceive people’s emotional experiences. When water bending, you transmit to others a deep sense of safety, connection, and fullness, in which they feel seen, held, and nurtured. You have the subtle power to softly guide people out of their defense patterns. You become the transmitter of flourishing, sensuality and embodied bliss. If you identify with Tree, you’re probably known as the reliable helper. If you have the distortion of tree you might also be overly self-reliant, not trusting that others will really be there to help you. You may feel cut off from a part of your emotional and sensual experience, and so you might shy away from emotional connection. Instead, you probably choose to live mainly in the world of thoughts, where concrete order feels reliable. You might also feel incapable of manifesting your purpose in the world - or perhaps you’re still looking for what your true gifts are, and what your purpose is. Though you might be really good at getting things done, your actions might not yet be happening in the direction of your true purpose. In Module 4 we explore ways to access your feelings and gain greater capacity for meaningful connection with yourself and others. You will connect with the flow of life force energy within you, which helps you open to spontaneity, emotion, and trust. As you free your life force you will also uncover your capacities and unique gifts, being able to understand your true self on a deeper level. Instead of orienting to what is familiar or to what pleases others, you will learn to align your actions to your own greatest purpose. In Module 4 you learn to exercise Discriminating Awareness: an awareness of what serves the whole. People with access to this quality of awareness have clarity of purpose and an internal compass from which to direct their life. They are in service to the good of others and can choose the greatest and most effective path of action to serve the whole. As your capacity for discriminating awareness grows, you will grow boundaries and structures that support your life and your mission. You will no longer lose energy or be drained by things that are out of alignment with your greater self. In Module 4 you also learn the skills we call Tree Bending: tapping into the subtle gift of perceiving when things are in or out of alignment and accessing a sense of clarity around how to realign them. With this skill, you have a super-powered ability to guide others to their greatest purpose and recognize their unique gifts. You might identify with Fire if you identify yourself as a charismatic leader who knows how to make things happen. You might also identify with the distorted parts of fire, if for example, you feel things only get done when you’re the one in charge, and you can only trust yourself in the process. Maybe you do know how to make big moves, but perhaps you notice that they’re sometimes more self-serving than they are in service to the whole. Maybe sometimes you notice that you use your power to dominate or manipulate others to get what you want, exercising “power over” rather than “power with”. As we heal from this defense pattern we find the love that runs through everything, and the magnetic force that it has to alter the course of reality. When we learn to surrender and soften our hearts, and when our “smaller self” lets go of being in charge, we find that something larger shows up to express itself through us. Instead of feeling powerless, we access an even greater power that can support our actions. We can then manifest big things in the world effortlessly. In Module 5 you learn to embody Dynamic Love Awareness: the Dynamic aspect of the whole that is fundamentally love. Everything done from this place is an expression of love awareness, enlightened activity, and love in motion. As we embody this aspect of awareness our activity becomes an expression of the dynamic power of the whole. As you gain access to dynamic love awareness, you will feel unlimited energy and the power to magnify and effortlessly manifest this energy. Instead of drawing from your “personal energy reserves”, you will now have access to this unlimited source of energy, and so things will manifest and transform with seemingly no effort. As you are aligned with these natural energy flows, your intentions will be the movement of the ocean rather than one small wave in the ocean. With the love-power you learn in Module 5, you gain the skills of Fire Bending: you become a powerful love-force capable of transforming the world around you. You access huge currents of energy that flow through your body as you move, act, create, and transform. You can amplify energy, magnetize, and manifest. You can build excitement and inspire passion in others, and direct the energy of a group. If you identify with the Earth Bender archetype, you might notice you are embodied, grounded, strong, concrete and practical, hands-on, hard working, and loyal. You are steady, you are very much “here”, and you know how to hunker down and do what you’ve got to do. In the distortion of Earth, though, you might also find yourself a bit too hunkered down - in other words, stuck. Maybe you feel resistant to change, maybe you feel like you can’t express yourself or stick up for yourself or break free from what’s bogging you down. Maybe you don’t want to change, and you especially don’t want other people to make you do anything. You might feel resistant to…just about anything, even the things you say you want. How to get out of your own way? How to get others out of your way? These are the feelings and paradigms we’ll be working on in the healing work of Module 6. As you free yourself of these binds you discover a uniquely unhindered self that moves in congruence with its own nature. You begin to access an effortlessness that connects you to the cosmic unfolding of everything. In Module 6 you get to explore Natural Awareness, or, “inter-being,” the understanding and felt-sense that everything is interdependent with everything else, and there is actually no boundary between things: everything is all truly connected. From this quality of awareness you experience the natural timing, rhythm, and pacing of the earth and the whole cosmos. Rather than expend effort, you learn to rest in effortlessness and in synchronization with the natural balances of the world. As your access to natural awareness grows, synchronicity will become a regular experience. You will be in synchronization with everything: with your body, the earth, nature, other people, and the whole cosmos. You will experience an incredible restfulness, as you relax into the natural unfolding of things. More and more everything will seem to get done by itself, via its own innate wisdom. In Module 6 you get a chance to experience Earth Bending: the ability to sense the underlying patterns and cycles within and between all living things. You tap into your superhuman power to connect and commune with the physical body, the physical environment, and living beings of planet earth in profound ways - just as many shamans across many cultures have done: honoring the intelligence of these natural systems and through doing so, empowering their own self-healing mechanisms. You might identify as a Realm Bender if you know yourself as a playful, energetic, creative visionary, often thinking outside the box and being “ahead of the times”. If you find yourself in the distortion of Realm, you might feel deeply unseen by other people, and wish so badly that they would truly see you. As a result, you might tend to perform, entertain, or otherwise be really good at getting attention - so that you’re at least seen on the surface. But still, people aren’t seeing your deeper self. And there’s even a chance you might not be seeing it either. You might also identify with being in the distortion of realm if you find yourself avoiding harsh reality by running away from what you’re supposed to be dealing with head-on, and by putting your energy basically anywhere else - like by hiding in distraction, or in some kind of fantasy land. As a result, you might be unable to focus, unable to finish projects you started, be late for appointments, or become scattered in your thoughts or actions. In Module 7 you will be guided towards healing the distortions of realm. You will learn to establish your center. All of the energy that before was dispersed in fantasy, drama, and reaching outside of oneself for affirmation, will be able to self organize. You will develop a capacity to channel your energy though a clear center and true vision. Module 7 is the most magical module at Luminous, where you get to majorly challenge your worldview, beliefs, and boundaries regarding aspects of space-time and layers of reality. You can move your awareness beyond the bubble of what you think existence is, into new experiences of yourself, others, and the multiverse. As you cultivate your access to Beyond Space-Time Awareness, you recognize that life and the world out there is like a dream with you as the dreamer - and you are building your own dream, in co-creation with others. With Beyond Space-Time Awareness, your vision opens, your capacity to download the future emerges, and your ability to shift vantage points and connect with support from all the realms opens up. When you engage in Realm Bending, you’re connecting with the part of you that “sees” beyond the 5 senses: the vision of the mystics. You can begin to access information about the past and future, and experience consciousness and communication throughout dimensions of reality. Crystal in its essence is a bright mind untainted by conditioned reality. But in the distortion of crystal, you’re following an artificial framework of cultural conditioning - a specific set of rules or ways of thinking that you either created or adopted from your family, education, or community. If you identify with Crystal, you may find yourself to be highly structured and organized, articulate and precise. But you may also engage in lots of black-and-white thinking, assume that you’re the one that is definitely right when you’re in an argument, or judge other people who see or do things differently than you do. You may tend to be rigid, trying to be perfect. You might not know who you are at your essence, as you’re trying to so hard to be appropriate or to achieve according to "the rules of the game” that you’ve decided (consciously or not) that you must follow. In Module 8 we access the state of Knowing Awareness and lucid clarity where we experience direct knowing, beyond conceptual mind. Some call this state “Big Mind” or “High Mind”. Here, you are accessing infinite intelligence unbound by conditioning. As your gain access to knowing awareness you become more lucid and clear. Ideas and understanding of things may stream through your mind. You often can get the big picture or understand seemingly complex ideas instantaneously. Instead of working things out step by step, sometimes the whole concept reveals itself at once. Brilliance and precision become second nature. The Crystal Bender accesses a highly and finely structured awareness mind. The subtle gift is to be able to access information from the “network” or greater mind and "download" information with great clarity. Personal healing sessions are not a requirement of this track, although they are highly recommended. A small amount of homework is required for completion and to get the full benefit of participation in the program. Additional homework and personal healing sessions are required for this track, which will add to the overall price of the program. Successful completion of this track allows you to offer Luminous sessions as a private practitioner or to weave Luminous practices into other modalities or contexts in your personal or professional life. If you wish to be certified as a Level 1 Luminous Practitioner, there are specific requirements beyond those expected of all students. Meeting some of these requirements entails additional time and cost. Each of these requirements will be fully explained. 21 personal healing sessions from an official Luminous Practitioner with 3 received between each module (these sessions are NOT included in your tuition unless you are on the Accelerate Path - see below). 10 practice sessions given to people in your community between each module (for a total of 70 sessions), with practitioner forms filled out and submitted. May be done with other students. 12 minis traded with fellow students between each module (minis are 5-10 minute presence sessions). Minimum practice of Chi Gong and Meditation 3+ times per week, with daily practice recommended. Custom exercises assigned by instructors as the program develops. Please note: Level 1 Practitioner certification entitles you to offer sessions in the Luminous framework in private practice or to weave these skills into other modalities. It does not guarantee you a job as an official Luminous Practitioner, which requires additional training and assessment and is by invitation only. Our 2-year program is a profound investment in your growth and transformation. Immersive group work, meditation practices, healing assessments, and online materials, are the foundation of our Basic Package. Our Accelerate Package includes a selection of individualized sessions and small group pods that deepen the work in your tuition. For those interested in becoming practitioners, the Accelerate Package builds in some of the requirements. You can also do sessions and pods a la carte with either Package. There is limited enrollment for this program. Your enrollment will be considered on a first come first served basis. You need to complete and submit all application materials, in addition to your deposit, in order to be considered for enrollment. Below you can see what is included in our Basic and Accelerate Package. Attend eight 4-day immersive trainings at a beautiful California retreat center every 9-11 weeks. Two 2-day meditation retreats with a master meditation teacher to deepen your practice. Open your energetic body and shift your level of awareness through a synthesis of meditation practices, Chi Gong and self awareness exercises and educational materials posted in our Student Portal. 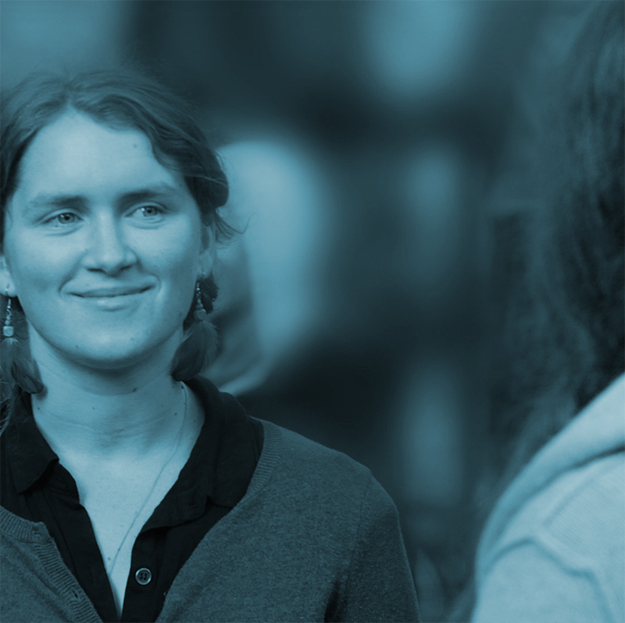 Receive ongoing training and support as well as community connection between modules with labs facilitated by advanced interns or teaching assistants. These are a powerful opportunity to practice the skills learned with fellow students and to explore the material in greater depth. Commit to the program at one of our pre-course events by paying in full or paying your deposit and setting up your payment plan to save $500! Or, bring a friend and receive $250 as a referral bonus to apply to you or your friend's tuition cost. Everything included in the Basic Package! - Plus the additional benefits below! Receive three (3) one hour sessions with Master Healers Anna-Lisa Adelberg or Raina DeLear. These sessions will uncover the energetic root to your primary issues, release and re-pattern these issues and shift you into higher levels of consciousness. Receive nine healing sessions spread out over the course of the program with official Luminous Practitioners to expand and deepen the transformation initiated in the modules. Practitioners will be assigned to you based on best fit for your healing process. Participate in nine pods where you gain extra practice while receiving private instruction and guidance on healing and awareness skills from a skilled practitioner in a small group format. During each Pod, several students receive a session from an official Luminous practitioner with the support of the other students. Students who wish to be certified as Level 1 Luminous Practitioners are required to receive 21 healing sessions or pods with official Luminous Practitioners over the course of the program. The Accelerate Package builds these into your payment plan and you can add sessions and pods a la carte with either package. NOTE: Pracitioner Track is available regardless of whether you choose the Basic or Accelerate Package. Accelerate Package may be more difficult to take advantage of for those who live outside the larger Bay Area. Please contact us to discuss. $850 deposit holds your place in the program and is applied to your tuition. Before September 1, $600 of this deposit is refundable. Before November 1, $300 of this deposit is refundable. After November 1, the entire deposit is non-refundable. Commit to the program at one of our pre-course events and save $500! Discount is applied to your tuition, not your deposit. To get the discount, you must pay the deposit within 48 hours of the event to lock in this discount. NOTE: These prices do NOT include food & lodging, travel costs, or the cost of extra offerings between modules such as pods and private healing sessions (except for those included with the Accelerate Package). Also, only one discount applies per person (choose Decisive or Early Bird discounts). Schedule a call with an admissions counselor today.